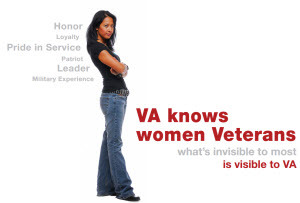 The Providence VA Medical Center is committed to meeting the unique needs of women Veterans by delivering the highest quality health care to each woman, while offering her the privacy, dignity, and sensitivity to gender-specific needs that she deserves. Our full time Women Veterans Program Manager is ready to assist you in getting timely access to the health care you need. Your Women Veterans Program Manager here in Providence is Tonya Maselli McConnell, LICSW, BCD. You can reach Tonya at (401) 273-7100, extension 6191. She can answer your questions about the program and assist you with enrollment.